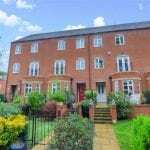 On the edge of the historic medieval town of Tewkesbury, stands this beautifully-presented mid-townhouse. Built in 2010 and still having approx 2 years of NHBC remaining, the house has a contemporary feel and has been maintained to a high standard, offering spacious three-bedroom accommodation. With no road in front of it, the house has an uninterrupted view over a marina and open fields beyond yet is only approx 10 minute walk from all the facilities of the town centre. Open countryside is only a short distance away, with a wealth of opportunities for walking and outdoor recreation; Bredon Hill is a particularly popular destination. The property is also close to the River Avon, Tewkesbury Marina and Tewkesbury Cruising and Sailing Club  ideal for anyone with an interest in boats. 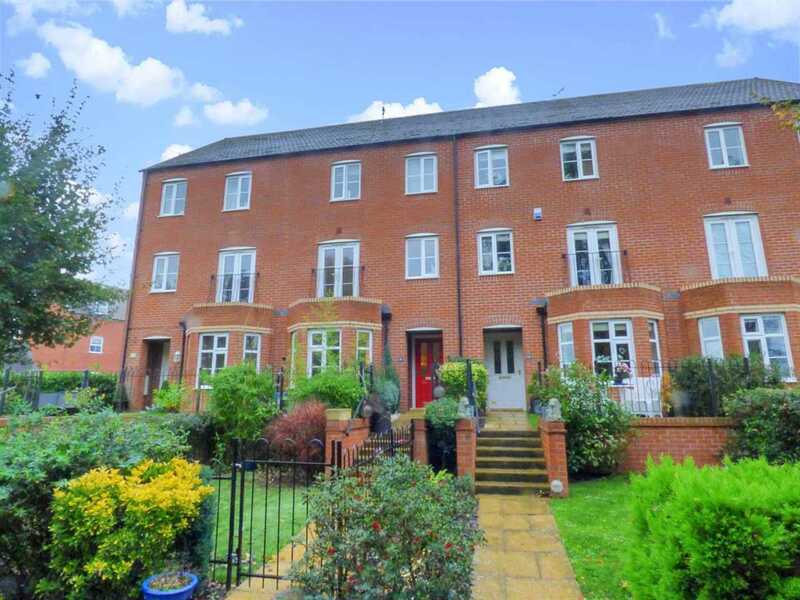 Transport links are excellent, with the M5 nearby and Tewkesbury railway station offering a regular service to both London and Birmingham. The town itself boasts a full range of facilities and shops, including a Morrisons superstore and a popular market on Wednesdays and Saturdays. There are restaurants and pubs in the town for every taste and the famous Tewkesbury Abbey hosts concerts and festivals, while The Roses Theatre is a venue for live and on-screen entertainment as well as exhibitions. The local schools  Mitton Manor Primary and Tewkesbury School at secondary level  were both rated good in their most recent Ofsted inspections. Tewkesbury is approximately a 15 minute drive from Cheltenham Spa with all its facilities and events. The front approach to the property has a pathway through a delightful garden with a, well-kept lawn and established beds planted with shrubs and bushes. Stone steps lead up to a gravelled patio area where you can sit and enjoy the outlook, and the front entrance. The rear garden is laid mostly to lawn and enjoys a good degree of privacy. There is a raised patio deck and a number of beds stocked with mature shrubs and trees, plus a pathway leading to a gate that exits the garden to the driveway and garage. There is an outside tap. The ground floor entrance hall is airy and welcoming, with a wood floor and a useful under-stairs storage cupboard. To the left is the dining room, which has a large and attractive bay window. The dining room could easily be made into a second lounge or family room if required. An archway leads into the kitchen/diner, fitted with a range of units featuring wooden doors and granite worktops. A horseshoe breakfast bar occupies the dining area where there is space for a dining table if required, and double French doors open into the rear garden. There is a fitted hob and oven with extractor hood, a 1.5-bowl sink with mixer tap over, and space for a dishwasher. Through the kitchen is the utility room, with cupboards and space for laundry appliances, and a small cloakroom with WC and hand basin. Stairs rise from the hallway to the first floor where you will find the attractive lounge, which overlooks the countryside to the front of the house. The double French doors open to allow a free flow of fresh air via the Juliet balcony with wrought iron safety railings fitted to the outside. Also on this level is a double bedroom, used as a study/office by the present owners, and the family bathroom which has a bath with shower fitting, hand basin with cupboard over, and a WC. On the second floor is the master bedroom, which benefits from fitted wardrobes across the width of one wall, and an en suite shower room, and a further bedroom. The house is immaculately maintained and tastefully decorated throughout, with the benefit of double glazing, good insulation to walls, roof and floor, and low-energy lighting to almost half of the fixed points. Heating is delivered via a programmable gas-fired system with thermostatic valves to individual radiators.